Smart Building Solution – DEOS Controls Americas Inc.
Others call it revolutionary, we just call it “Simplicity at its Best”! 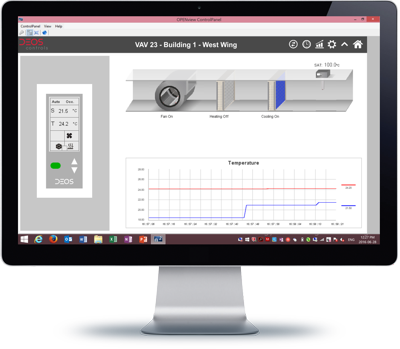 The Smart Building Solution by DEOS Controls is an affordable and easy-to-configure building management solution for small to medium-sized commercial buildings. 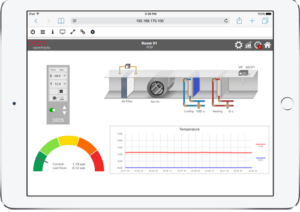 The powerful, customizable web-based graphic user interface allows not only interactive access, custom graphics, dynamic trends and schedules but also the complete initial system setup. 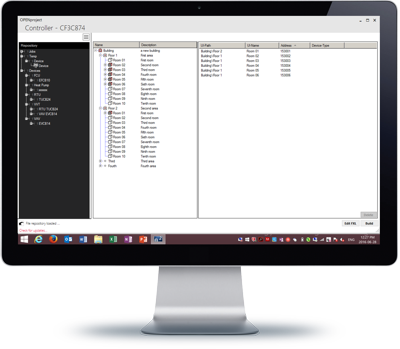 The entire program is built with drop-down and check box customization capabilities, with logic and graphics automatically generated in the background. 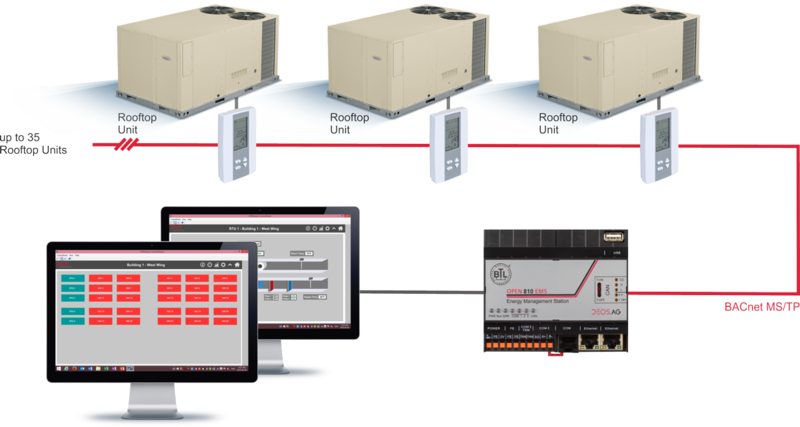 Thanks to the system’s modular architecture and its optional Wi-Fi adapter the Smart Building Solution is easily scalable and extendable via either wired or wireless BACnet/IP connectivity. 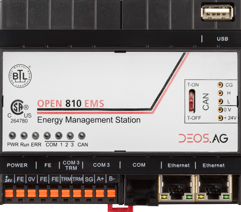 DEOS Controls’ Smart Building Solution is your only choice when looking for open standards, the lowest installation and maintenance costs, and the highest level of flexibility to ensure optimal use in every application.. The powerful internal web server OPENview is available on every OPEN EMS. Using a standard browser or the DEOS proprietary visualization program OPENview ControlPanel, you can locally access your data via the internet or intranet. 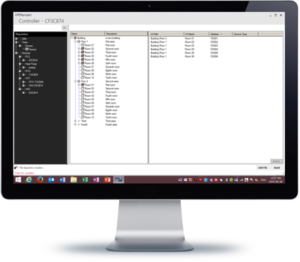 Configure your project within minutes with OPENproject, our free project configuration software! It allows a comprehensive and fast project configuration while the logic gets automatically programmed in the background.